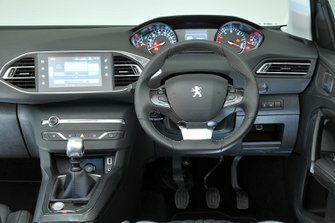 Used Peugeot 308 Review - 2013-present | What Car? 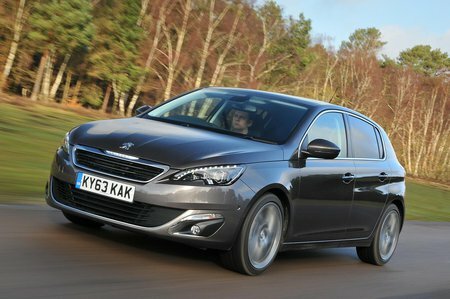 What's the used Peugeot 308 hatchback like? It might seem like the SUV has had it all its own way over the last few years, especially for those seeking a practical and good-value family car, but the hatchback still has a lot of life left in it. It wasn’t so long ago that we used to associated Peugeot with the production of innovative small hatchbacks designed to appeal to just that audience, with cars such as the 205 and the 306 leading the way, but the French firm seemed to lose the thread for a while. However, when this new version of the 308 came along in 2014, it once again had a serious contender on its hands, and scooped up the European Car of the Year Award that year. Maybe that victory wasn’t so surprising: the 308 is a tidy and pleasing design, and it has a wide range of petrol and Euro 6-compliant diesel engines. Those petrols range from an 81bhp 1.2-litre three-cylinder unit to 108bhp and 128bhp 1.2-litre turbocharged three-cylinders to a 203bhp turbocharged 1.6-litre. Diesels include 1.6-litre units of 99bhp and 118bhp, while the line-up is completed by a pair of 2.0-litre HDi engines with 148bhp and 178bhp respectively. There’s a pleasing choice of trim levels, too. Even the entry-level model getting LED daytime running lights, air conditioning, cruise control, a DAB radio, Bluetooth and USB connectivity as standard, while range-topping GT trim is positively plush. The 308 is good to drive and comfortable inside, although some won’t be enamoured by its unusually small steering wheel and high-set instruments. It’s a smart interior, though, and there’s a large boot, too. Pricing, both new and used, has always been competitive. The real problem for the 308 has always been the strength of its opposition, because it finds itself up against cars such as the Ford Focus, Volkswagen Golf and hugely spacious Skoda Octavia.